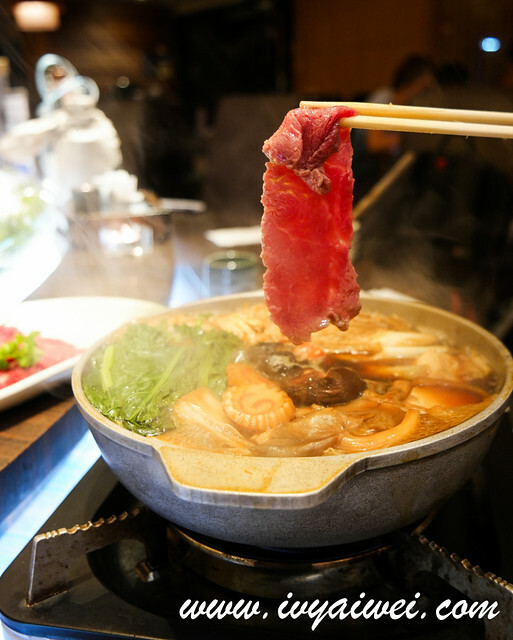 Hot piping Shabu-Shabu for the rainy day, anyone? 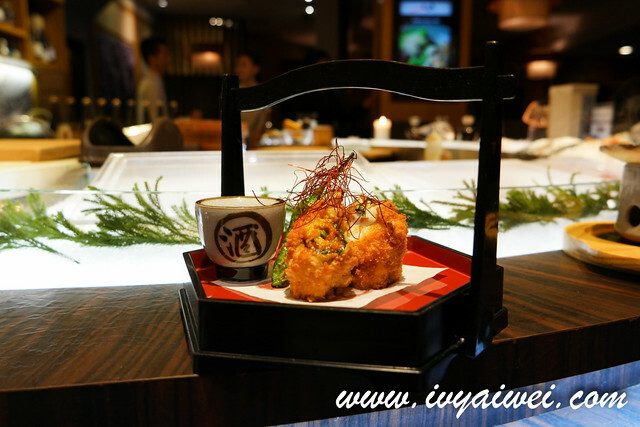 I felt so love when I was back to one of the Japanese restaurants I fancy most. 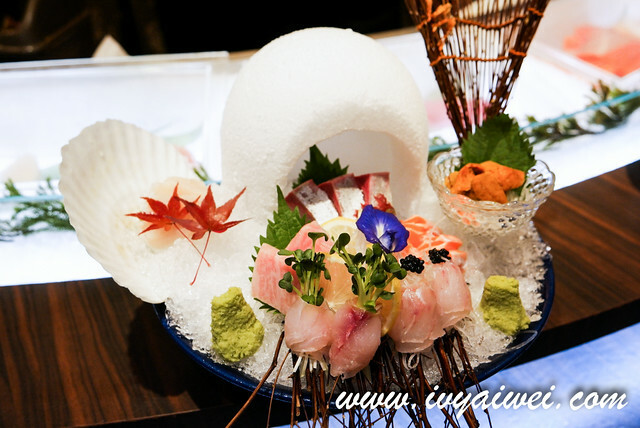 Besides the fresh amai ingredients and the top notch quality elements used in their dishes, they also reduced my lovesick towards my previous trip. It is always an 幸せ journey in Ishin. You may see how thoughtful they are, in preparing your order. 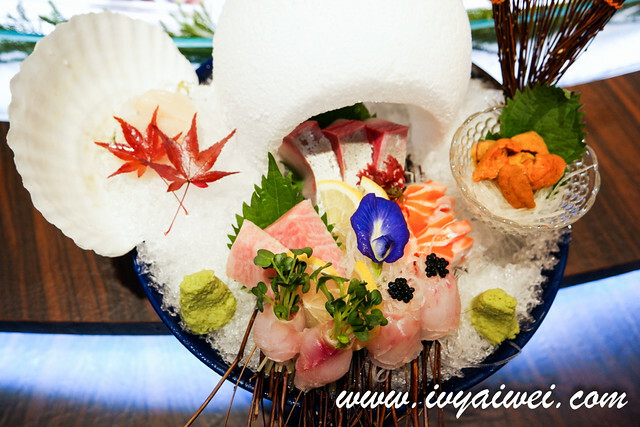 It was autumn season then and the dishes have got autumn element in it… the maple leaves!!! I felt so touched when seeing these little elements. Need no much elaboration, you can read about my previous review. 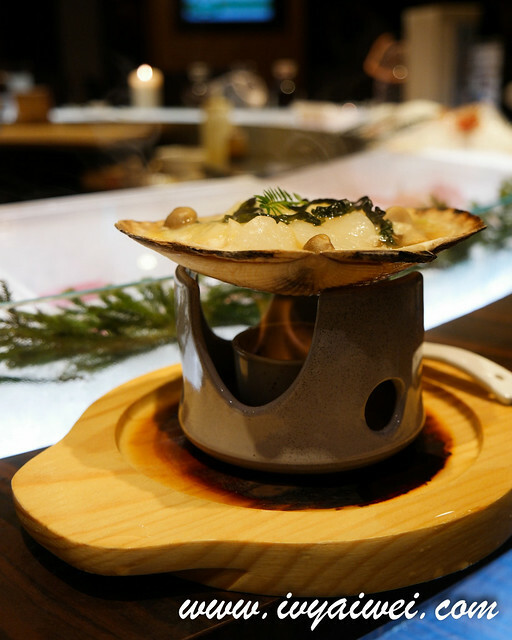 Again this round, together with the partners-in-crime, Logan and Jean, we were here to savour some new dishes in the menu. 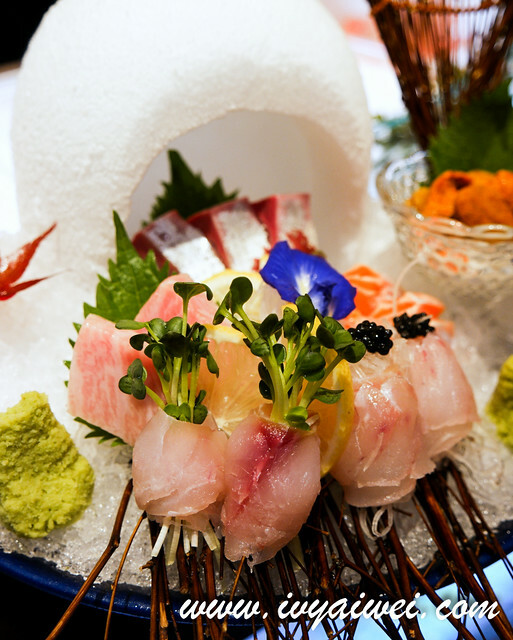 A beautiful bowl housed an igloo; filled with best catch of the day. 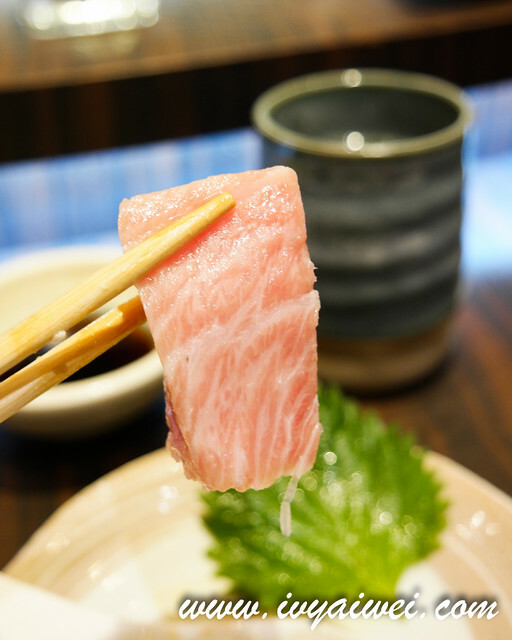 There were hotate (scallop), salmon belly, super mellow velvety uni (sea urchin), and the amazing ootoro and etc. I wouldn’t forget how fresh and sweet they were. Awwww…. 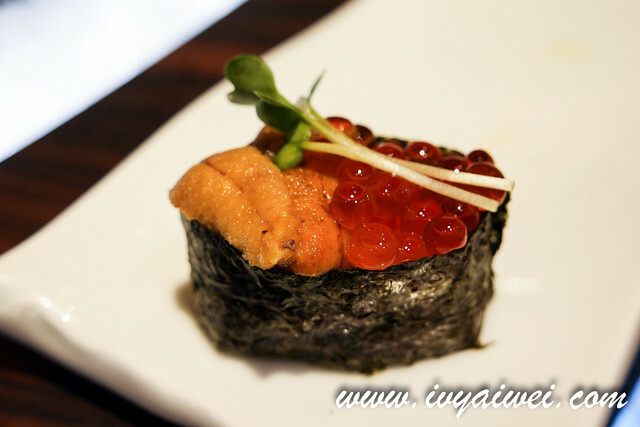 The sweetest Hokkaido uni and the popping sujiko, love the sweetness and the umaminess mixed on the sushi rice. I can go mad on these. 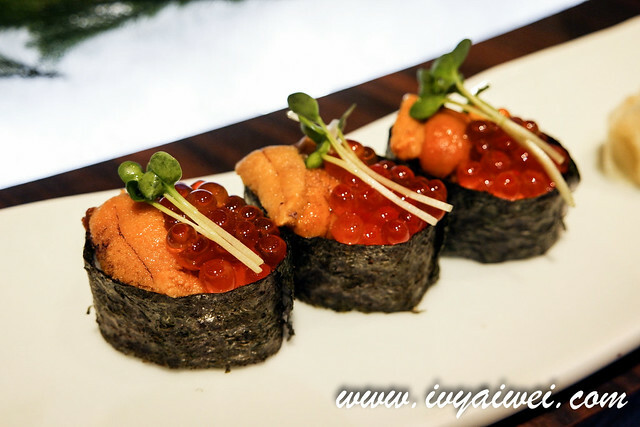 Read more on what’s Sujiko on my previous post. 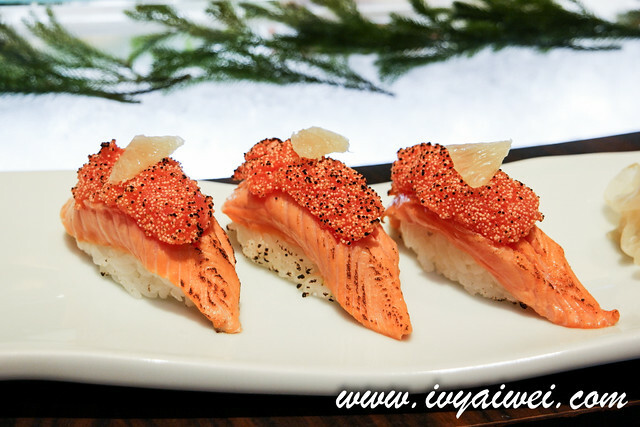 Lined with the thick salmon slice that filled with omega fatty acid and on top of that was the mentaiko; lightly torched and the whole combination was extremely creamy. Love it to max. 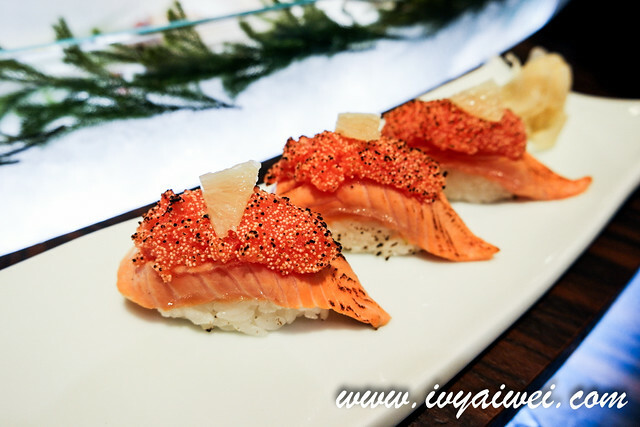 I can conclude this is the most luxury sushi ever. 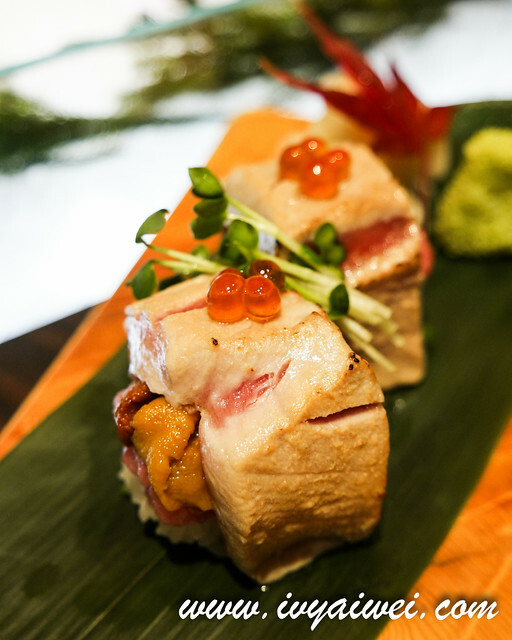 All the best was layered on the sushi rice and finally topped with sujiko. One does need a few bite-ful to finish up the whole thing. Decorated with maple leaves too that made me awwwww-ed the whole night in the restaurant. 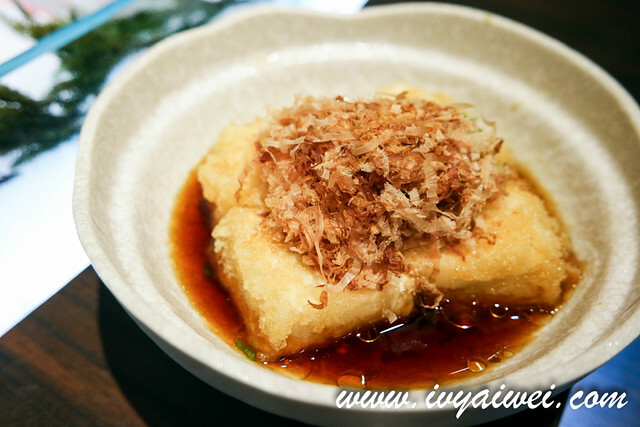 The tofu was silky smooth on the inside and lined with a layer of the crispy skin; Heavily loaded with the dancing bonito flakes and pairing well with the sauce. 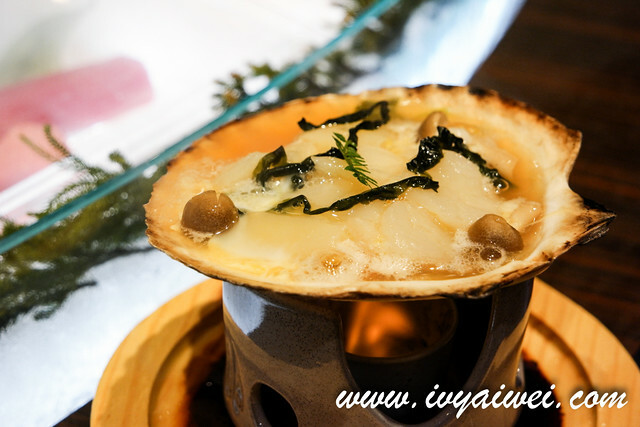 Huge scallop with condiments such as shitake mushroom and cabbage, shimmered in the shell over the fire, where concentrated rich essence of the sea was form. 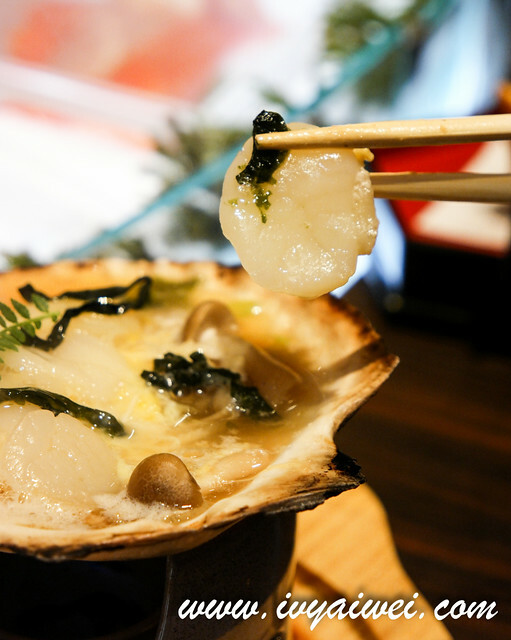 Somehow, I found the earthy mushroom had slightly masked the sweetness of scallop. Still prefer the scallops to cook with butter. 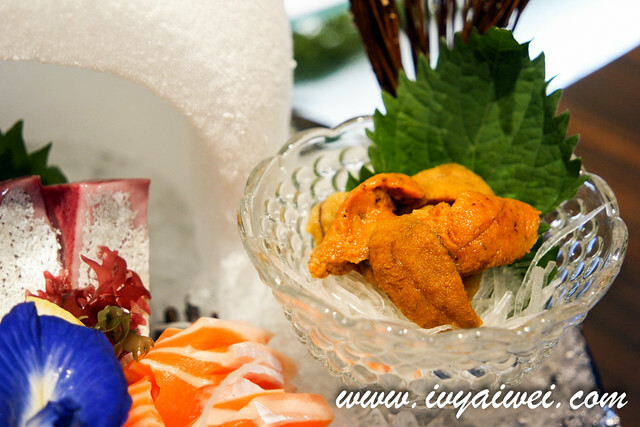 Lined with shiso leaf, uni and king crab, made into tempura-liked, crispy but not greasy, rich but not heavy; rich and creamy uni contrasting with the bouncy firm king crab and finally dip in the sauce on the side. Chef has never failed to impress me and I don’t think I will ever find this combo elsewhere. The kitchen was very thoughtful too. 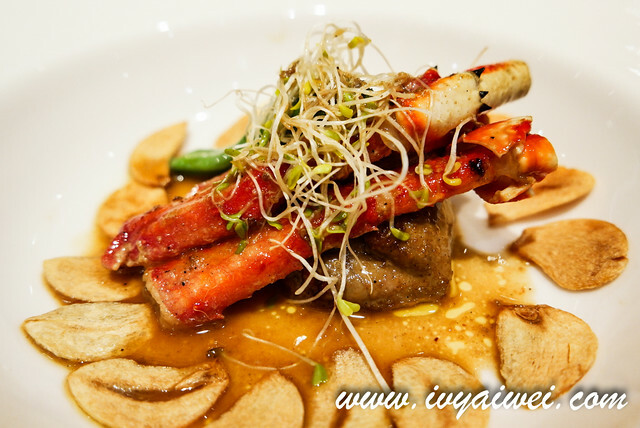 Started our dinner with something light and then went on serving us with something richly flavoured. And on this dish, honestly, I have never thought there is such combo! Kudos to the Chef and team. One of the exotic dishes I have had too. 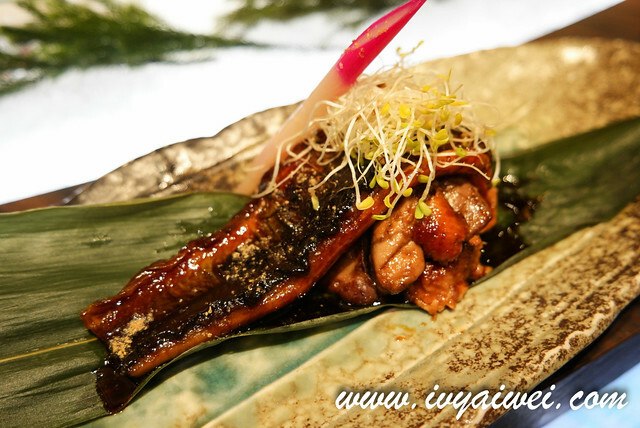 Grilled unagi kabayaki wrapped over the succulent yet fatty duck liver. Ahhhh…. I have to admit, I can still remember how it tasted like. The rich fatty juicy aroma, lingered long in your oral cavity that madly spiked onto your lingual nerve and then towards the olfactory nerve. 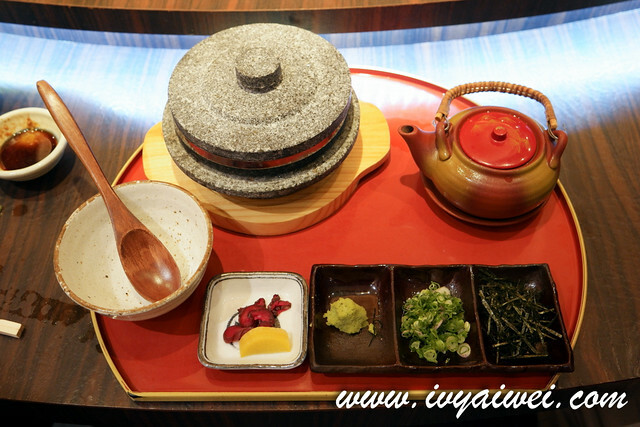 I seldom get touch with duck in Japanese cuisine. Didn’t quite see them in restaurants in Japan too. 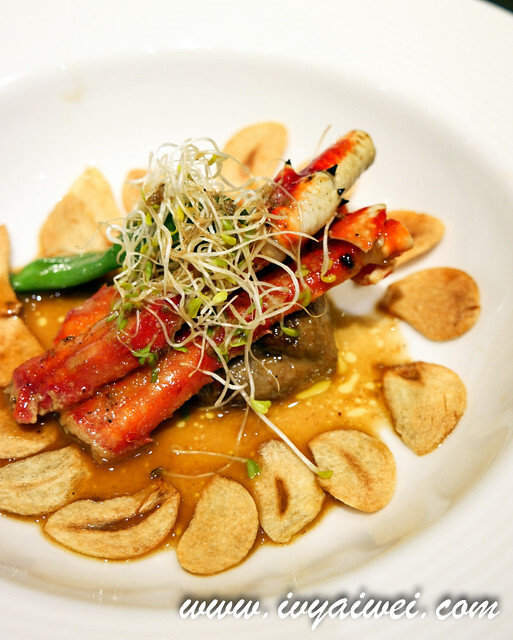 Never thought of pairing king crab with duck liver can be this amazing! 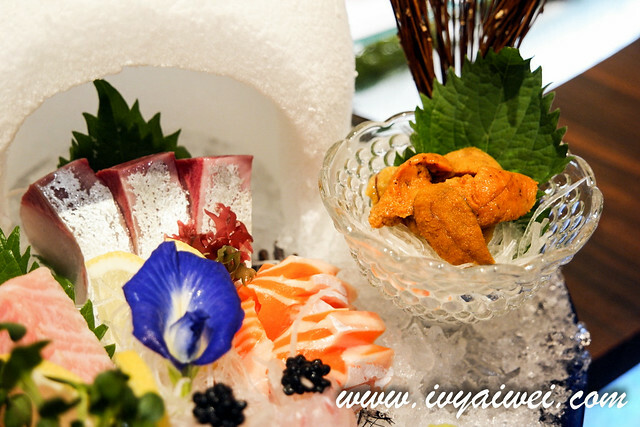 The firm but juicy king crab gaming well with the fatty but fragrant duck liver. Again, the contrasting texture worked so well. And those fried garlic at the side!!! If you fancy strong and intense flavour, for sure you will polish clean the fried garlic at the side. 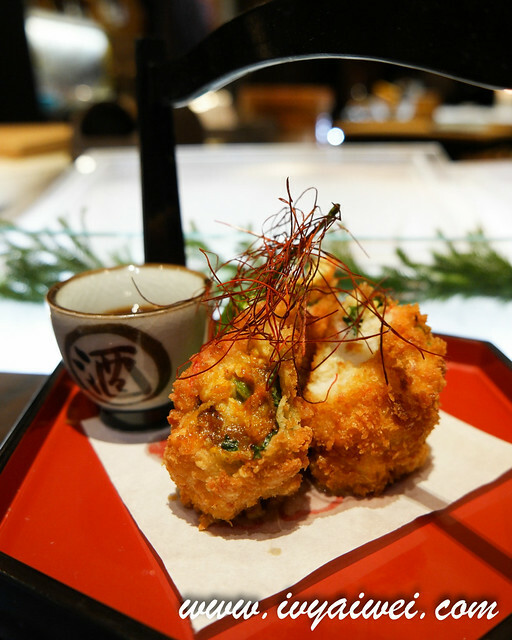 The perfect hot piping dish that most suitable to go on the rainy day. 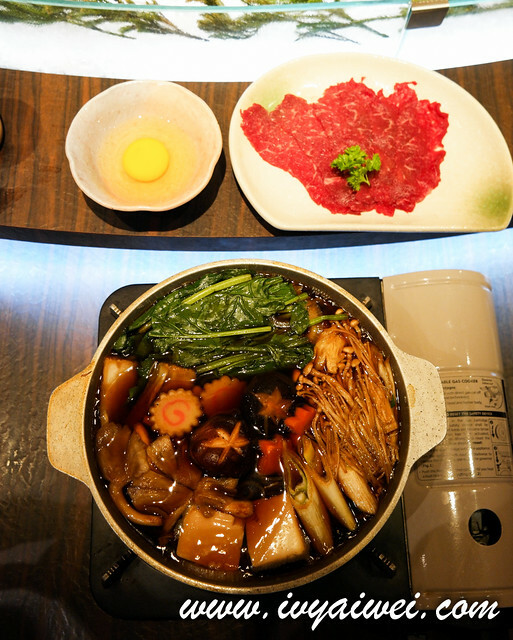 This pot of sukiyaki is good to be shared among 2, or 4 in order to be able to try out more of their dishes. 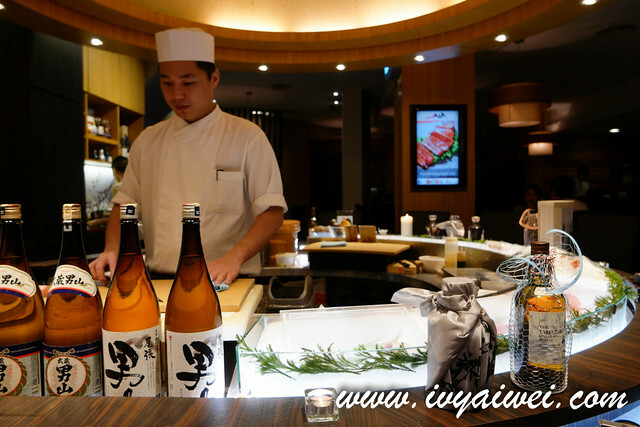 Didn’t manage to try this out while I was in Nagoya few years ago, was overjoy to see this in KL! 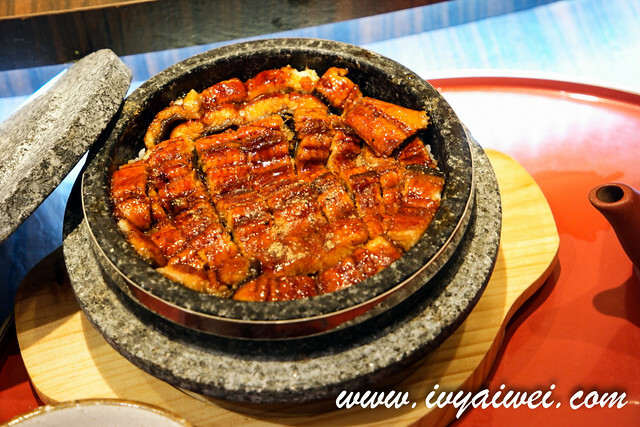 Hitsumabushi is quite similar to unagi donburi but differ in the way of eating them. 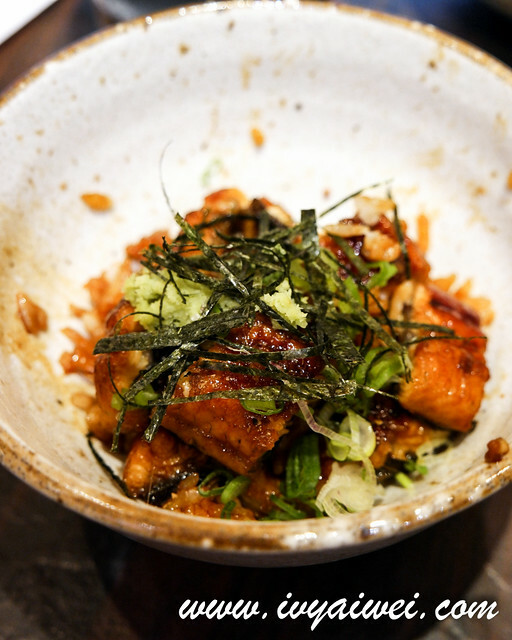 In fact, there are 3 ways of savouring this dish. 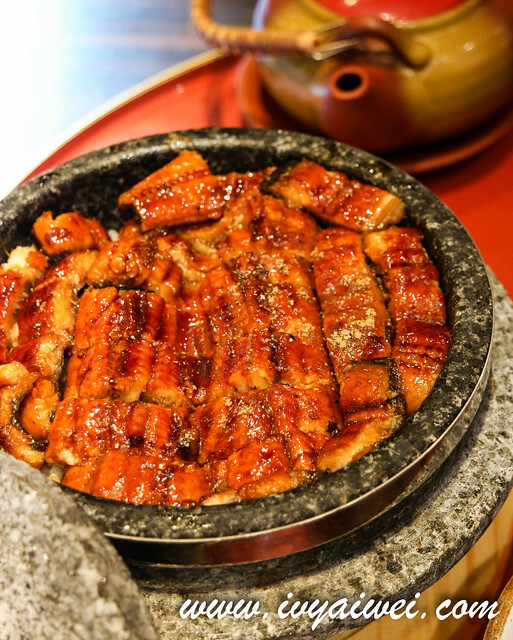 Hitsumabushi is served in a large bowl. 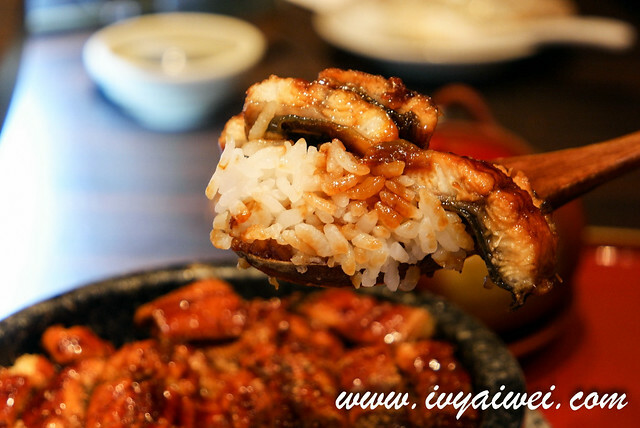 On a bed of white fluffy rice, there are the thinly sliced unagi, served along with a few toppings and condiments such as finely chopped spring onions, dried seaweed, and wasabi. 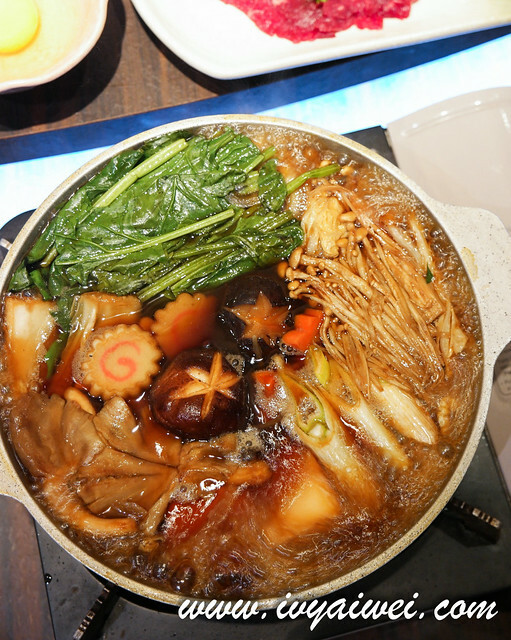 It will also be completed with a pot of dashi or soup. 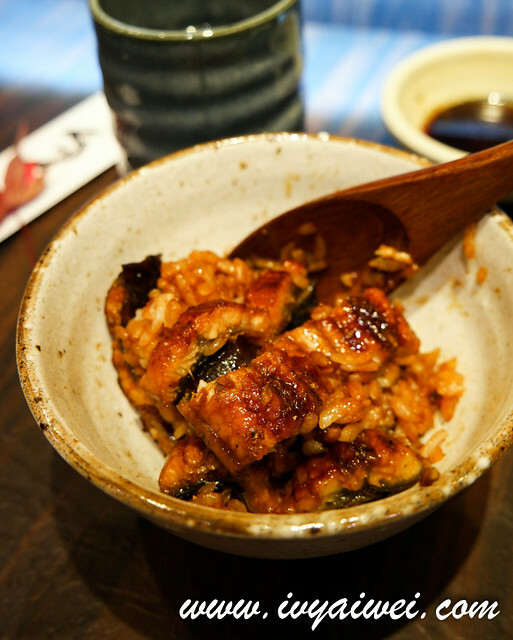 To start, you may try the unagi and rice in its original way. 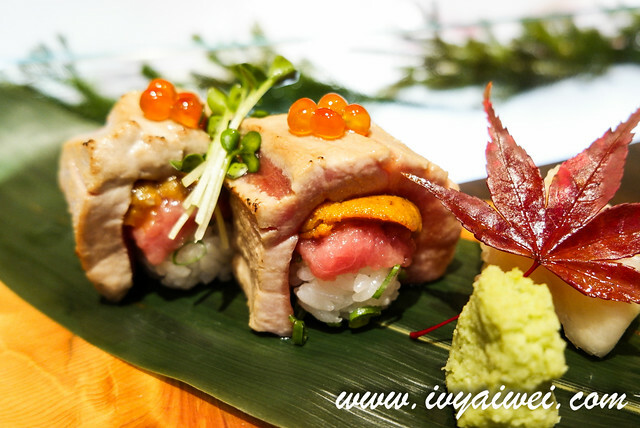 Then, add in wasabi, nori and chopped spring onions (negi) and mix them up with the unagi and rice before enjoying them. 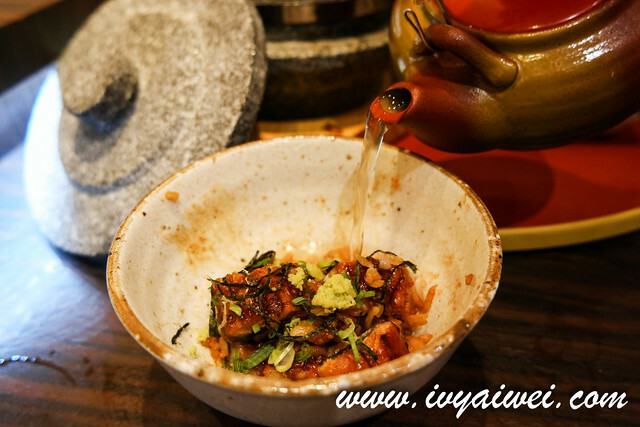 Finally, fill up the remaining rice, unagi and condiments with the soup/dashi stock, turning it into o-chazuke soup with rice. 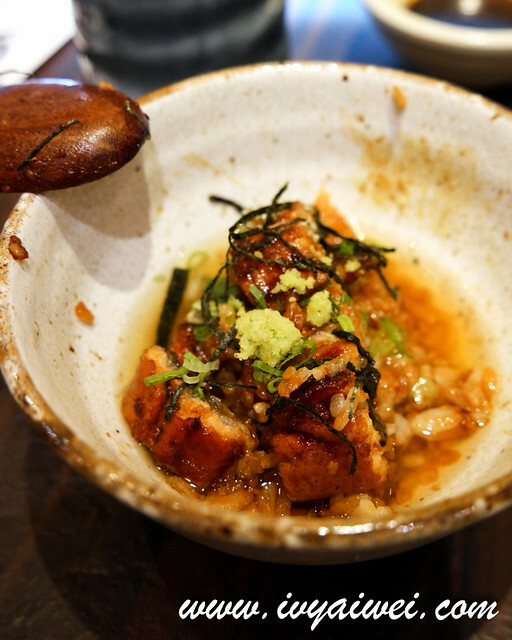 It gave more flavours to the rice when the rice adsorbed the sweetness dashi. Don’t ask me which way I love the most out of three because I can’t decide. 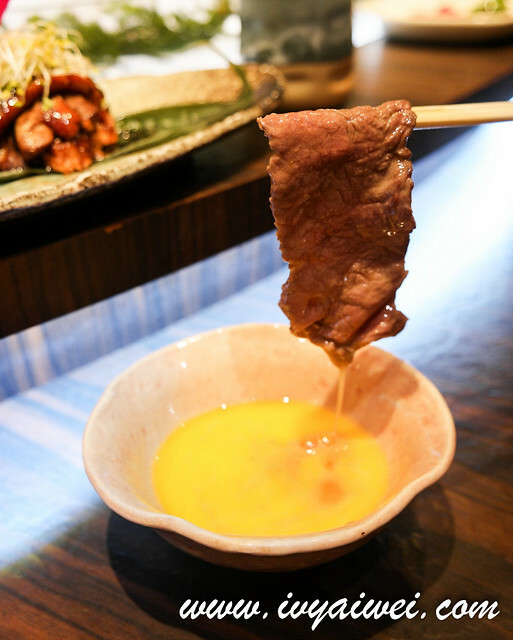 All three of them are equally good and they have their uniqueness respectively; the original, the wasabi kick, the dashi sweetness. 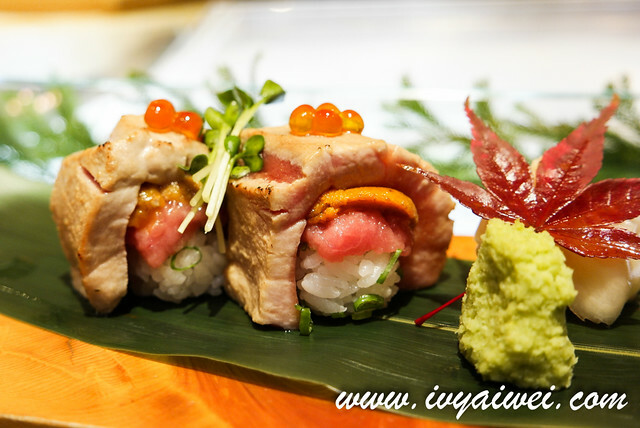 Super happy that Ishin is serving this Nagoya’s specialty!!! 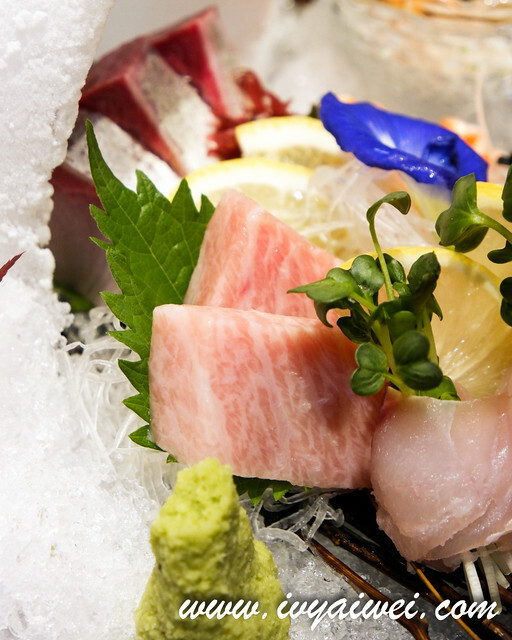 Here in Ishin, you may find Japan’s seasonal fruits. You may ask, isn’t melon a kind of summer’s fruit? Even though it’s not the summer season now in Japan, but there are melon sold. Probably the greenhouse fruits?! I really saw there were melons everywhere in the market and supermarket back then during my trip last month. 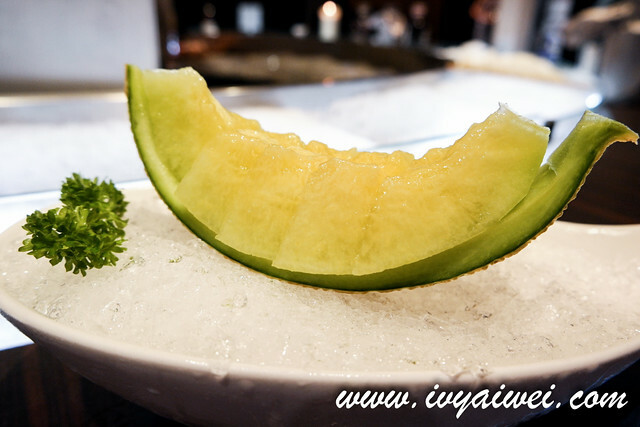 and this Japanese Melon was super sweet!!! Finally we ended out meal with raindrop cake. 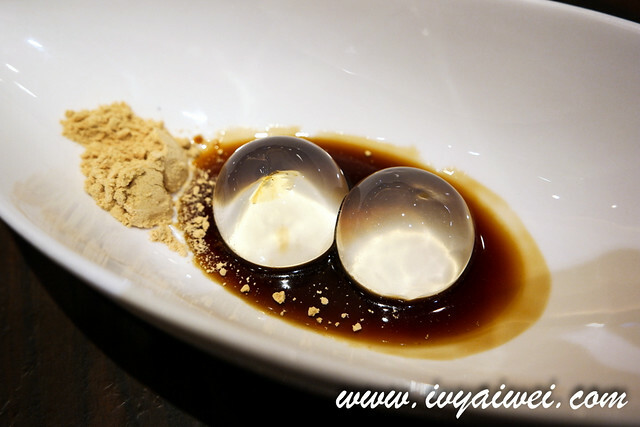 These very round sphere rain drop cake was very different from the others. Ishin imported them from Japan. 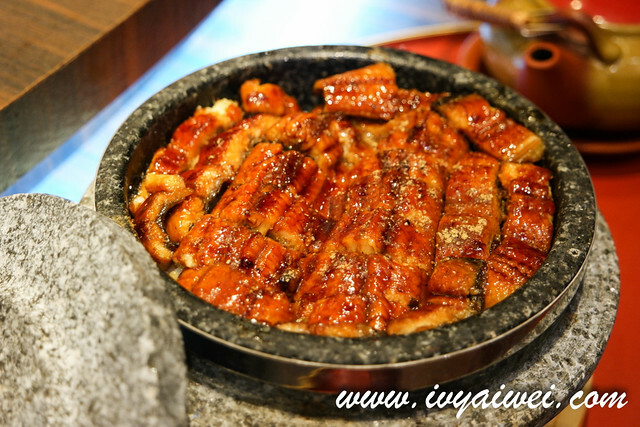 They were super doink doink and went great with the kinako powder and kuromitsu.